Do you need an urgent repair for your boiler in Knowle, Dorridge or Solihull? MJC Plumbing and Heating can help, with emergency appointments to suit you, and a fast effective service. Does your boiler need repairing to prevent a breakdown? We are hre when you need us for boiler and central heating repair because we know that your day to day life depends on heating and hot water, if your boiler fails we can be there with a solution ASAP. Because customer satisfaction is our number one priority, we provide a no obligation quote, competitive rates and work with professionalism and respect for your home. There are many working parts in any boiler, and modern boilers in particular use complex systems. If there is any sign that part of your appliance has malfunctioned then getting a professional opinion could save you time and money. 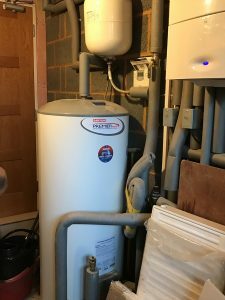 Reduced performance – irregular hot water or ineffective central heating? If you think there may be a problem, getting the help of a specialist can give you the reassurance of knowing your appliance is safe and functioning well, and acting early could prevent a costly breakdown just around the corner. 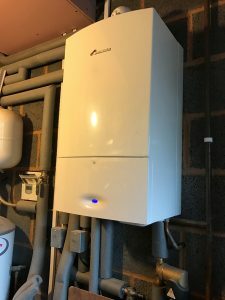 Keeping your boiler in top condition. The best way to prevent boiler failure is with a regular boiler service. This will keep all your boiler’s parts functioning well and pick up on any emerging problems. Get in touch to find out more about repair and servicing for your central heating or boiler in Knowle, Dorridge, Solihull and the surrounding areas.